Model-specific adapters for mounting regular or narrow front-mount push tubes. 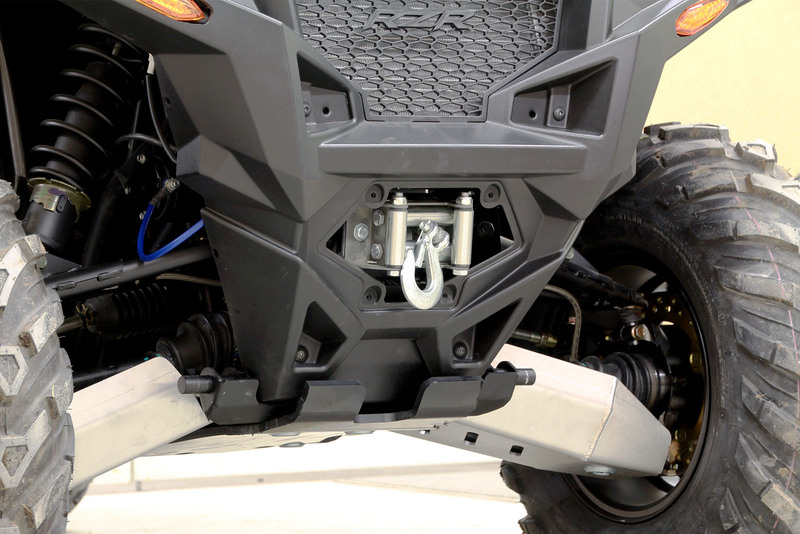 The adapters are attached to the front of the ATV, leaving the mounting points for the push tubes high enough not to decrease the height clearance of the vehicle. Available either as model-specific adapters or universal adapters that can be fitted on a number of different vehicles. 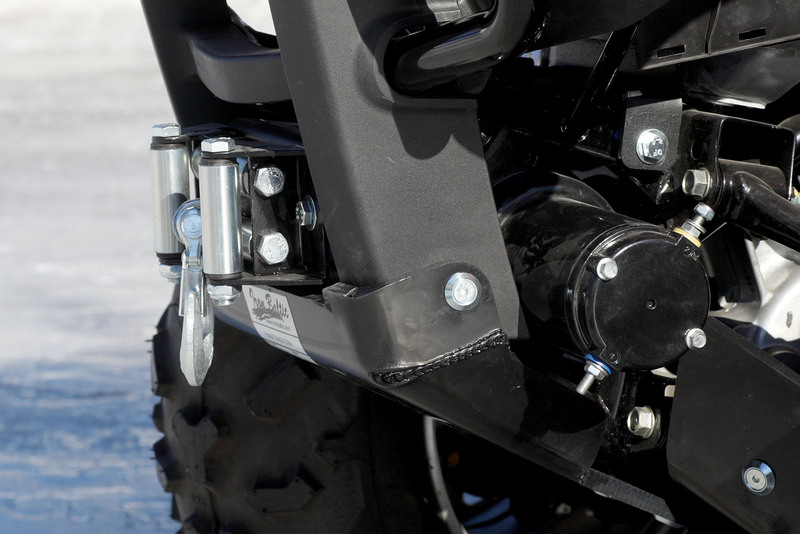 The mid-mount adapters can be used to mount regular mid-mount push tubes or mid-mount push tubes for vehicles with fitted tracks. 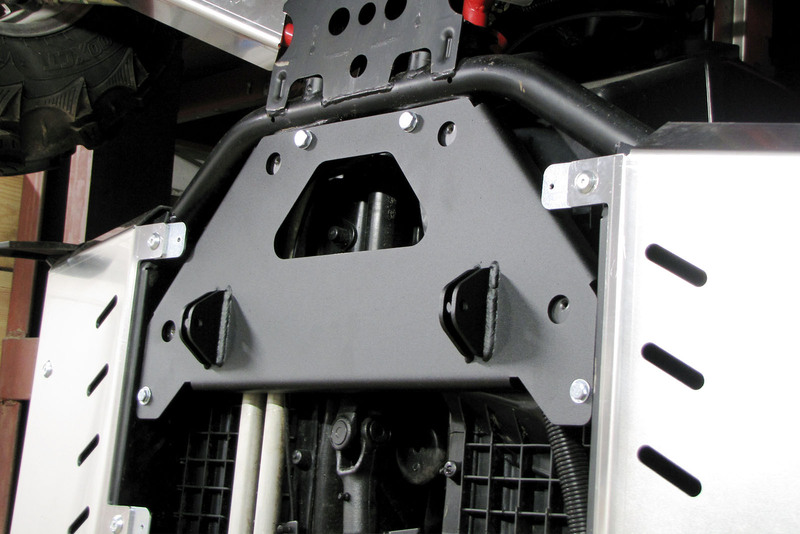 Model-specific kits for mounting winches to the front part of the vehicle's frame.The mounting kits can be used for mounting Warn, Bronco and possibly other winches with a 76 x 124 mm / 3'' x 4,87'' mounting bolt pattern. 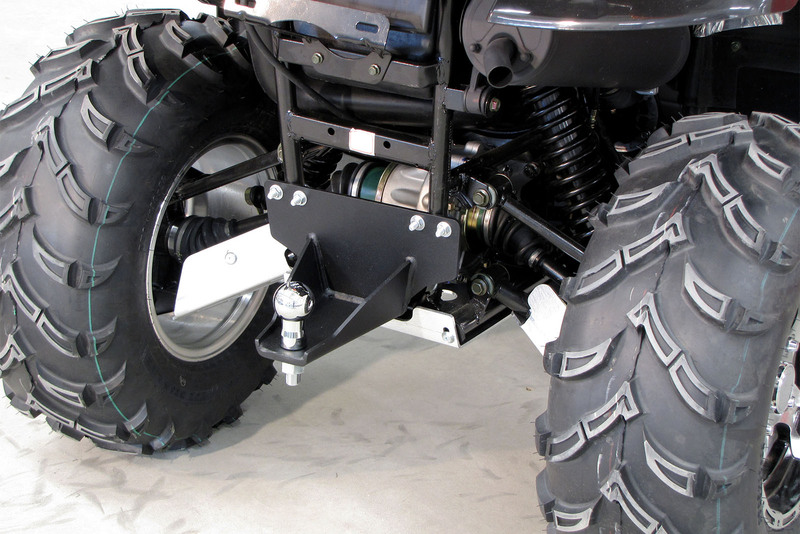 Model-specific kits for mounting winches to the rear of the vehicle's frame. The mounting kits can be used for mounting Warn, Bronco and possibly other winches with a 76 x 124 mm / 3'' x 4,87'' mounting bolt pattern. 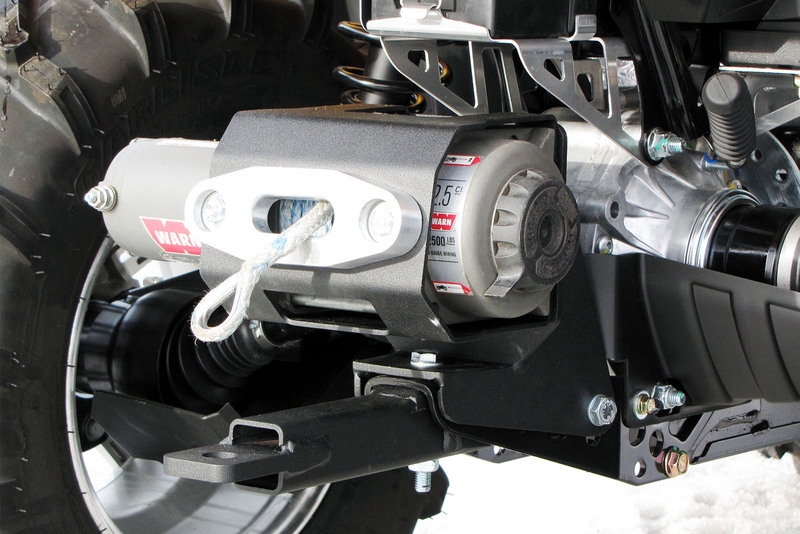 Model-specific kits for mounting a tow ball to the rear of the vehicle's frame designed to make heavy towing easy and worry free and extend the hitch ball joint outwards creating enough clearance for comfortable maneuvering.